The title of Dickens’s funniest novel (so sayeth the editor of the copy I'm reading), Martin Chuzzlewit, is deceiving. It should, rather, be called Martin Chuzzlewits, for there are two of them - a grandfather and his grandson - and at this point, neither is either more or less protagonist-ish than the other. In terms of personality, they are decipherable really only by their ages. Granddad Martin is ornery, contrary, capricious, selfish, paranoid, and foolish – the grandson is the same, but sports a rather better turned calf and hasn’t yet shed all his social graces. 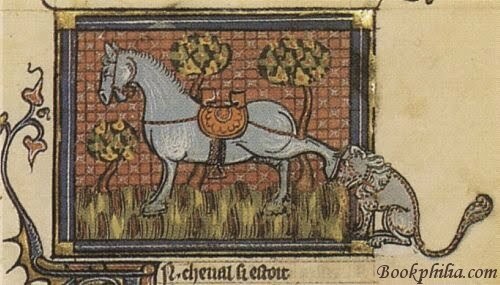 ‘Is he indeed?’ cried Tom. ‘Well, sir,’ resumed Martin, stirring the fire once more, and drawing his chair still closer to it, ‘his selfishness makes him exacting, you see; and his obstinacy makes him resolute in his exactions. The consequence is that he has always exacted a great deal from me in the way of respect, and submission, and self–denial when his wishes were in question, and so forth. I have borne a great deal from him, because I have been under obligations to him (if one can ever be said to be under obligations to one’s own grandfather), and because I have been really attached to him; but we have had a great many quarrels for all that, for I could not accommodate myself to his ways very often — not out of the least reference to myself, you understand, but because —’ he stammered here, and was rather at a loss. ‘That’s true,’ Tom answered. ‘Well! I can guess what SHE said when you told her,’ he added, glancing at Martin’s handsome face. ‘Just what I supposed,’ said Tom. ‘Quite natural!’ and, in his great satisfaction, he took a long sip out of his wine–glass. Martin is exactly correct in his estimation of his grandfather's character, so: peas in a pod, yes? They are each so focused on their respective desires, that not only are they unable to try to conciliate one another with regards to anything at all, but they are also both mortally offended by anyone else having any desires that don't align with their own. They are domestic and social tyrants, plain and simple. As no lady or gentleman, with any claims to polite breeding, can possibly sympathise with the Chuzzlewit Family without being first assured of the extreme antiquity of the race, it is a great satisfaction to know that it undoubtedly descended in a direct line from Adam and Eve; and was, in the very earliest times, closely connected with the agricultural interest. 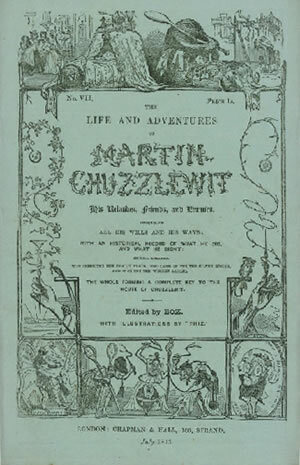 If it should ever be urged by grudging and malicious persons, that a Chuzzlewit, in any period of the family history, displayed an overweening amount of family pride, surely the weakness will be considered not only pardonable but laudable, when the immense superiority of the house to the rest of mankind, in respect of this its ancient origin, is taken into account. Dickens’s pair of Martins are Chuzzlewits through and through, never mind that their frays be of the metaphorically, rather than literally, bloody sort. But as Dickens asserts so strenuously in other novels, family does not tout court determine personality – Amy Dorrit, Nell Trent, Oliver Twist, Davey Copperfield – they all either become or remain steadfastly better than their origins would suggest possible. They may be exceptions, mind, but exceptions that make an easy correlation between nature and nurture impossible. Dickens brings up the Chuzzlewit family history, not to either explain or condone - or even condemn, to be fair - the Martins; it’s more just, I think, to show that family is the biggest cross either has to bear but for all their sense of life as abusive towards them particularly, it's really not a very big cross at all. Whether or not they can shoulder their relations gracefully seems to be the subject of the novel – the comic subject, it’s important to note. At least, given how hilarious this novel is supposed to be, the family chaos should likewise be hilarious. 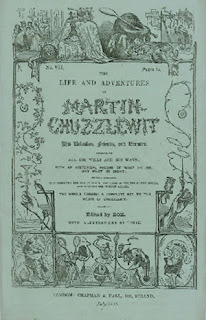 But while certain members of the extended Chuzzlewit family are buffoons, freaks, or amusing disasters, the two Martins are none of these things. Both have hurt others significantly and at the end of the first 200 pages, are poised to continue to do so: Old Martin, to wound his adopted daughter and grandson whose marriage he opposes, and his grandson to wound his fiancée and his grandfather (even if the old man's reasons for feeling hurt are ridiculous). Neither seems to care a flying fig enough to notice that they're harming others with their refusals to even attempt to resolve things more diplomatically than issuing stern ultimatums and cutting ties. If they did notice, however, they likely still wouldn’t care, for in their respective lives, there is room for only one person – themselves. Both could easily become tragic figures, and if they don’t do so yet, it may only be because the comic milieu in which Dickens has placed them proves to be even stronger-willed - shall we say obstinate? - than they are.